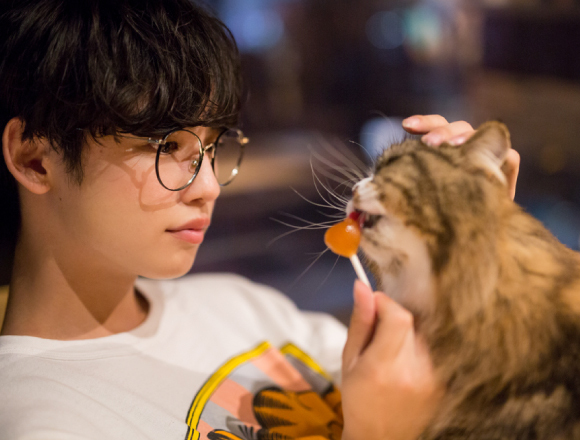 Our cute model Yutaro finally found some time in his busy schedule to go on a date with me! Today we’re heading to a spot where you can cure your fatigue after a long day at work. 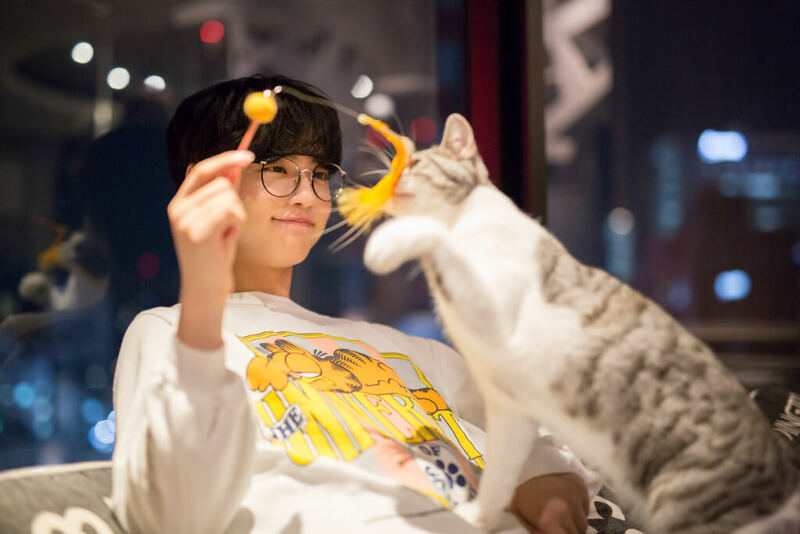 Our destination for today is a cat café! Today Yutaro took me out to Café MoCHA in Shibuya. 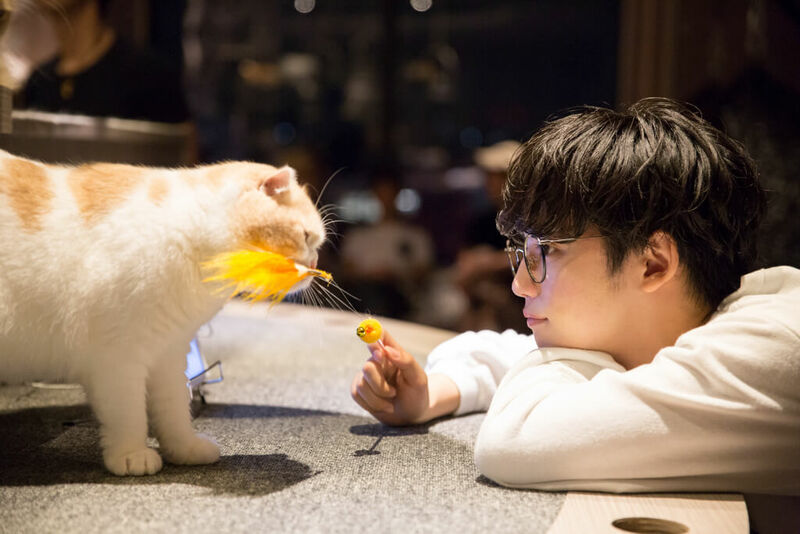 This cat café is filled with many sofa seats, from which you can gaze at the scenery of Shibuya at nighttime. 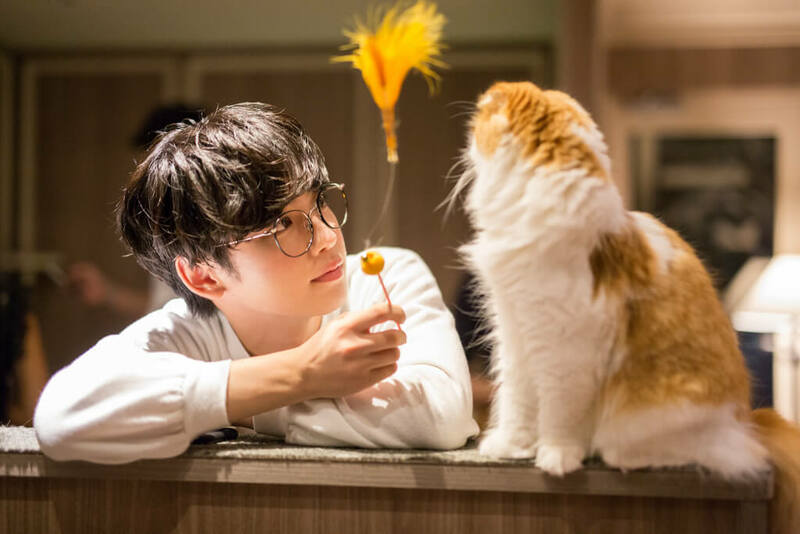 This was my first time at this cat café, but Yutaro’s second time. Yutaro quickly proceeded as if he was very familiar with it. 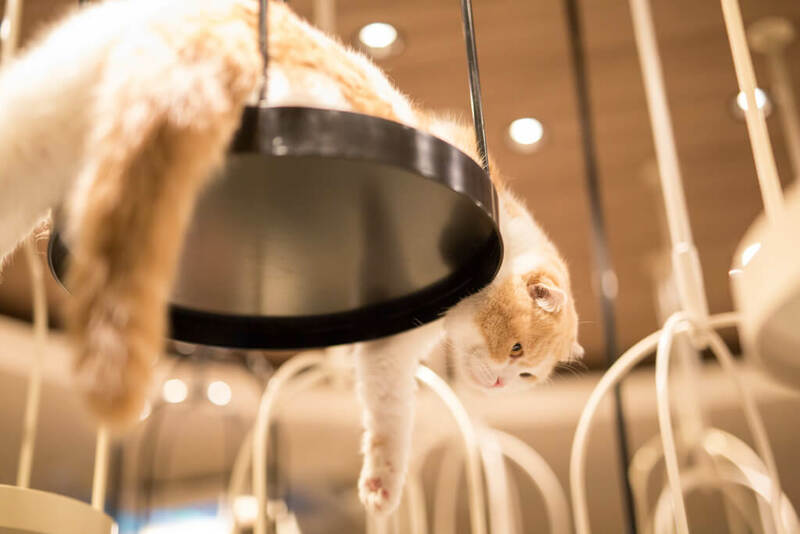 We ended up on the second floor of Cat Café MoCHA Shibuya. First, we spent time on the upper floor to meet the cats. 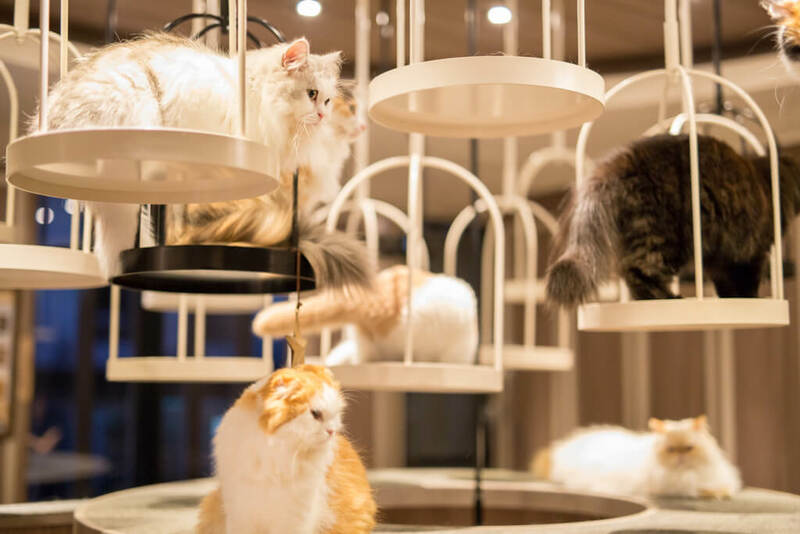 Cats, cats and more cats in so many different places – they were here, there and everywhere! Some stayed sprawled out on the swinging seats whilst some came to cosy up with the humans. This was a great opportunity to get to know them. 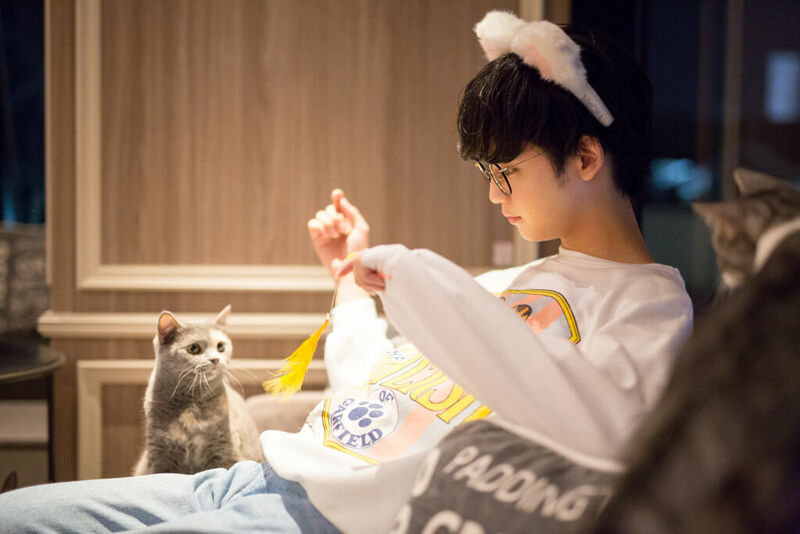 …When did Yutaro get those cat ears?! 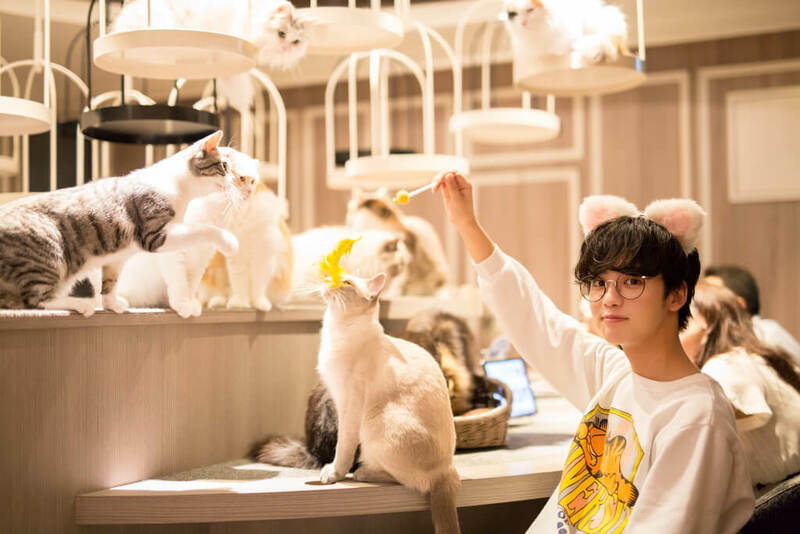 Did he do this to get into the cat café mood? With a bushy cat toy in one hand, he got closer to the cats. 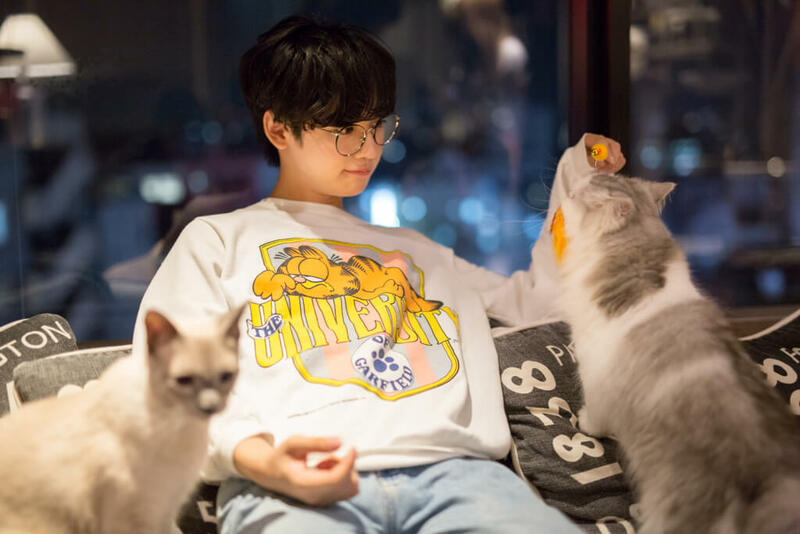 Notice Yutaro is wearing a sweater with a cat character on it in this photo! 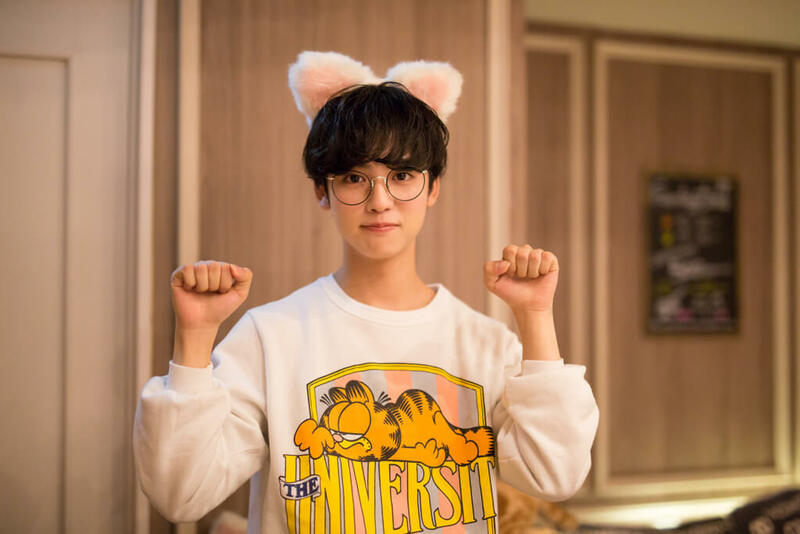 I wonder if he decided to wear this because of the cat café… anyhow, it’s so cute! After our break, we went straight back to play mode! 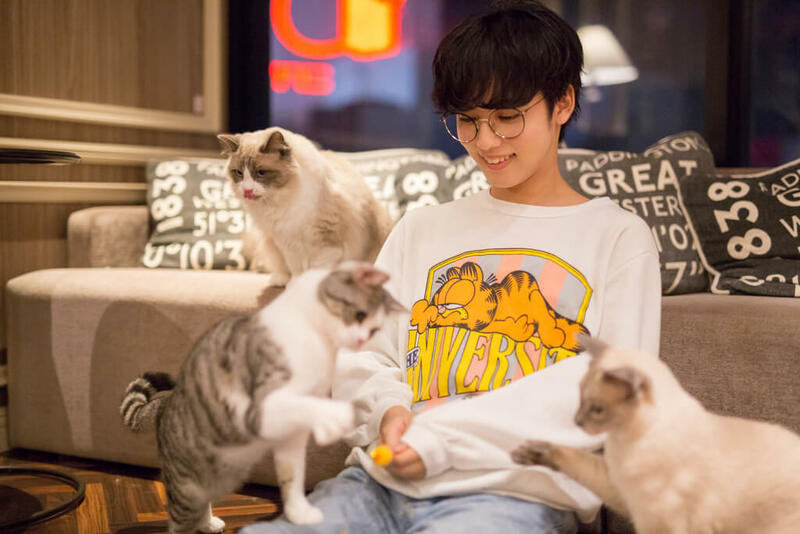 It was time to play with the cats! The cats seemed to gradually get tired after all that playing and then it was back to relaxation mode. 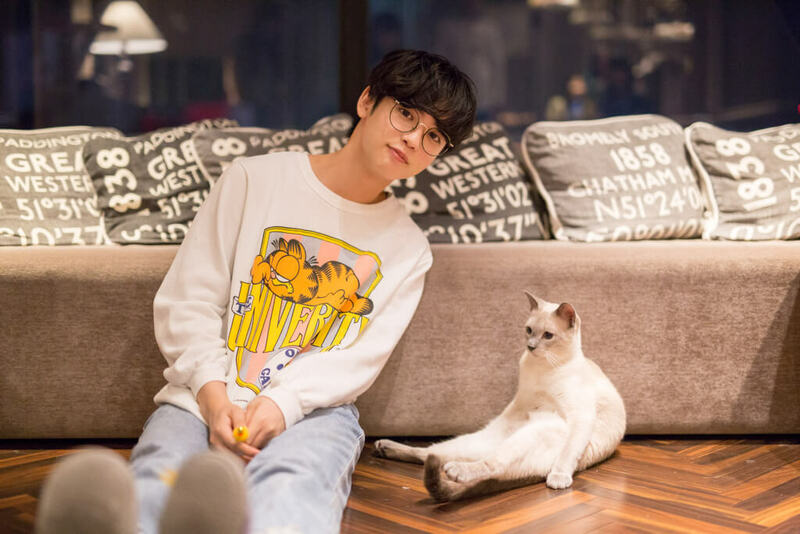 Why does this cat choose to sit right behind Yutaro?! And here’s one sitting just like Yutaro! 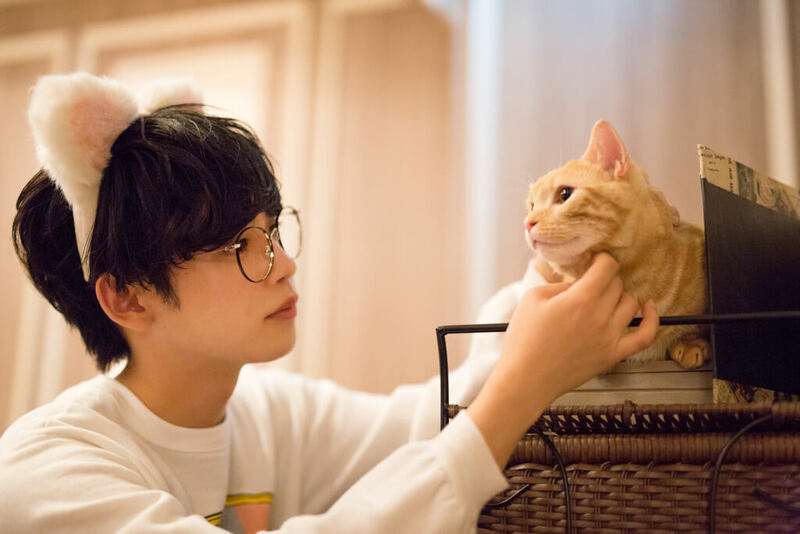 Little by little, Yutaro and the cats became better friends.